Many times I find myself wishing that we had a concordance of Merton’s writings. A concordance would make it easy to locate Merton texts we remember reading, but can’t recall where we read them. It would help us also to find the many ways in which he used a particular term. It would enable us to clarify his understanding of a particular topic by putting together the things he wrote on that topic. I hope someday this project will come to fruition. Anybody out there who would like to help? 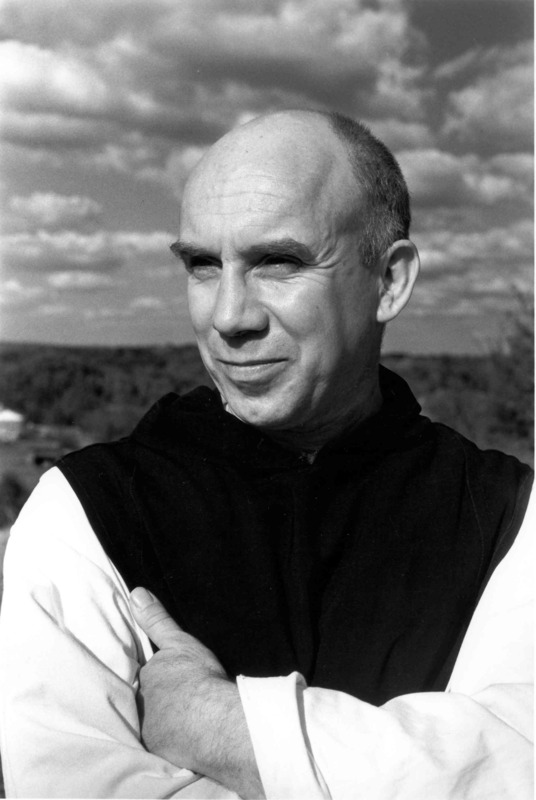 I might add that at the present time we do have The Thomas Merton Encyclopedia, which has some 350 entries that bring together Merton’s thinking on a wide variety of topics. I have to confess to a personal interest in this work, since I am one of its three authors. Clearly an encyclopedia is not a concordance, but it does give at least a bit of help in this direction. Particularly helpful is the paperback edition of the Encyclopedia, which has an extensive index. If I forget thee, contemplation. Though this poem was written early in his monastic life (1949), I believe it can be said that he remained faithful to its commitment to the very end. And that commitment involved not only making his own life contemplative but helping others to do the same. As I write this, I wonder when you, the reader, first heard about contemplation? Was it in connection with certain extraordinary people (John of the Cross, Teresa of Avila) who achieved a life of contemplation? If this was the case, did your reading about them help you to see contemplation as a viable experience for yourself? Or was it something to admire in these unusual people, but hardly something that could find a place in your own life? I ask these questions because I believe that many people in the not-too-distant past thought of contemplation as an elitist experience given only to a few and not even to be thought of by the rest of us. And many today, I believe, still think that way. I quite readily admit that that was my thinking for all too long a time in my life. What changed my attitude and encouraged me to think that contemplation was a possibility for me was my reading Merton and studying his writings. More than all this, contemplation undoes my perception of God. I come to realize that I do not know who God is at all. Up to then I had thought that my language was adequate to deal with God. But in contemplation I am in the presence of a Reality I do not understand, I am Jacob struggling through the night and demanding of his “Adversary”:“What is your name?” and receiving no answer. I am like Zachary in the temple, struck dumb by what he experienced. The words I used to use so glibly now stick in my throat. I thought I knew how to say: “God.” Now I am reduced to silence. No matter what I say about God it is so far from the divine Reality that I am forced to unsay it. I find myself blinded by the dazzling light of a Reality I thought I knew. When contemplation begins to “take hold” in our lives, we are conscious, without fully understanding it, that we are in this God whom we can no longer name and that this God is in us. Distinct from God, we are yet not separate from God. We feel scorched by the terrifying immediacy of the presence of One whom we had thought we could keep at a safe and comfortable distance. We find that this God cannot be kept in a secure or predetermined place: This God is everywhere. Getting back to my talk to the diocesan liturgical commission, I readily confess I would not have given that talk (in fact would not even have thought of giving it), were it not for Thomas Merton. He was writing a chunk of American history when he wrote in The Seven Storey Mountain: “America is discovering the contemplative life.” And for many (myself included) he was the spiritual master who led the way to that discovery. As I have said on many occasions, Thomas Merton made “contemplation” a household word. This is not to say that he was a teacher of contemplation. As he himself put it, it is as impossible to attempt to teach people “how to be a contemplative,” as it would be to teach them “how to be an angel.” For contemplation is an awakening to a whole new level of reality, which cannot even be clearly explained. “It can only be hinted at, suggested, pointed to, symbolized.” He did believe, however, that an aptitude for contemplation can be awakened in people. But this is possible only if they have already had good human experiences. Only those who have learned to see with their own eyes, hear with their own ears, taste with their own tongues and experience with their whole being are apt candidates for the contemplative life. Television addicts, people whose lives continually need external stimulation, who have never opened themselves to their own inner truth, live lives so low in authenticity that a contemplative life would simply be out of their reach. They need to have opportunities for normal wholesome human experiences before it makes any sense even to talk to them about contemplation. And let us face the fact that the culture we live in, with its emphasis on the external and the superficial, its penchant for pleasure and ease, its production-driven mentality, its tendency to emphasize rights over responsibilities, does not provide good soil in which the good seed of contemplation can grow and develop. Yet that seed is really present in all of us. There is a sense in which it can be said that we are all contemplatives, because whether we know it or not we are in God. This interiority and depth are present in all of us and can be reached by those who are willing to submit to the discipline that a contemplative way of life demands. While this discipline may require a change in behavior, its principal aim is to achieve a transformation of consciousness whereby we view reality differently. We discover the true God at the very center of our being and ourselves as nothing apart from God. With this discovery a new life dawns. We are liberated from selfishness. The egoself (which in reality is a false self) is discarded like “an old snake skin” (to use Merton’s words) and we come to recognize our true self which all the while had been hidden in God. The true self is not a separate or isolated reality, but one with everyone and everything in God. Thus we find not only our own identity, but also our inextricable link with all our sisters and brothers in God. This is the contemplative vision. It begets compassion and nonviolent love. Contemplation, Merton tells us, is “an awakening to the Real in all that is real.” The word “real” is an important word in the Merton vocabulary. If you look to the Oxford English Dictionary, you will find “real” described as applying “to whatever is regarded as having an existence in fact and not merely in appearance, thought or language or as having an absolute, a necessary, in contrast to a merely contingent, existence.” Now that definition of “real” may not make you jump up and down with joy. Not many definitions do! But this OED statement makes an important distinction. The word “real” has two meanings. It may mean that which exists in fact, but contingently. To exist contingently indicates dependence: it means existing not on one’s own, but derivatively. It means deriving one’s existence from another. The second meaning of “real” designates that which not only exists in fact, but exists absolutely and necessarily. What exists absolutely and necessarily exists in its own right, totally independent of anything or anyone else. Since the contingently “real” depends on the absolutely “Real,” to see the first aright one must see the second. In other words, you do not see the “contingently real” as it truly is, until you see it in the absolutely “Real.” When you achieve this vision, you have achieved the contemplative vision. This is the meaning of Merton’s words which I quoted at the beginning of this paragraph: “Contemplation is an awakening to the [absolutely] Real in all that is [contingently] real.” To be unaware of God at the heart of all reality, as the Source and Sustainer of all that is, is to fail to see reality as it is. It is to pretend that the contingently real can exist without the absolutely Real. It is going through life half-awake, or even worse, it is to live a contradiction. On January 15, 1966, Merton responds to a correspondent who was involved in helping people make career changes, and who asks Merton if he has any advice for such people. Merton replies that, whatever the changes may be that we make in life, “We should decide not in view of better pay, higher rank, ‘getting ahead,’ but in view of becoming more real, entering more authentically into direct contact with life.” Direct contact with life means recognizing the derivative existence of everything that is and awakening to the presence of God, from whom all reality derives. It is to awaken to the contemplative dimension of reality. It is the discovery of God within us. Prayer is an expression of our complete dependence on a hidden and mysterious God. It is therefore nourished by humility….We should never seek to reach some supposed “summit of prayer” out of spiritual ambition. We should seek to enter deep into the life of prayer, not in order that we may glory in it as an “achievement,” but because in this way we can come close to the Lord Who seeks to do us good, Who seeks to give us His mercy, and to surround us with His love. To love prayer is, then, to love our own poverty and His mercy. What a great sentence that is: To love prayer is to love our own poverty and God’s mercy! If we are to prepare ourselves for this total awareness of God’s presence which is contemplation, we need to spend time in silence and quiet, simply being in God’s presence. This needs to be a daily practice. Perseverance is the key; humility is the disposition—a willingness to admit how distracted we so often are, yet the determination to be more attentive, realizing that God wills our attentiveness so much more than we do or ever could. Perseverance will inevitably effect changes in the way we live our lives. Experiencing our oneness with God brings the realization that what is true of us is true of all our sisters and brothers: They too are one with God. This makes it possible for us to experience our oneness with them and indeed with all that is. We are more alert to treat people with love and concern, because we experience that oneness. 1. Bro. Paul Aguas – My Dad. A selfless man who spent his entire life serving God and His people. To this day he remains my model in the way I live my life. 2. Sr. Marie Jose Garcia, SSpS – Dear friend for 40 years now. She introduced me to the practice of Zen meditation, which changed my life in a way I couldn’t ever imagine. 3. Dom Fil Cinco, OCSO – Abbot of the Our Lady of the Philippines Trappist Monastery and my novice master. Our conversations in the open fields of the monastery, under the blue skies about the spiritual life, especially about the Desert Fathers, remained etched in my memory. 30+ years later it seems that those conversations took place only yesterday. 4. Sr. Elaine MacInnes, OLM – Catholic Nun and Zen Master. What I can’t forget about her was her generosity. Although we couldn’t offer her anything, even her retreat stipend, she generously guided us, a group of young college students, myself included, 40 years ago in the practice of Zen meditation by conducting Zen retreats for us. The seeds she planted would later bear fruit in our lives. In my case, it just took a little longer to do so. 5. Sr. Sonia Punzalan, RC – A religious of the Sisters of the Cenacle and one of my Zen teachers. It was on my first Zen retreat with her that I had one of the most powerful spiritual experiences of my life. It goes without saying that it transformed my life. Almost 20 years later that experience continues to inform and affect my life. 6. Fr. Thomas Merton, OCSO – Trappist monk, and considered as one of the most significant spiritual writers of the 20th century. I’ve never met him in person, but his books on the Christian monastic and contemplative tradition, which I read when I was 15 or 16 years old, changed my life forever. I humbly owe them a debt of gratitude. I have only one desire, and that is the desire for solitude—to disappear into God, to be submerged in His peace, to be lost in the secret of His Face. “Matthew, can I visit you?” Sr. Marijo was on the other end of the line. Sr. Marijo introduced Zen to Matthew almost 40 years ago. With a small group of friends, they would regularly visit her and sit in meditation together. Needless to say, it was a life changing experience for them. Since then, Matthew shares to me how Zen has helped him deepen his Christian faith and how it has helped him cope with the challenges of life. (see this blog post: A Touch of Enlightenment: A Christian’s Encounter with Zen). I really enjoyed listening to their animated conversation and as Matthew describes it, “It’s as if the conversation just stopped for a while and we took off from where we left off.” I guess these are just the stuff that real friendships are made of. This year, Matthew and I were quite busy. We became godparents to the highly energetic and lovable son of Alex and Robe Ann. We were also able to attend the 50th Golden Anniversary of our godparents, Tito Peter and Tita Dory. It was so much fun to meet and catch up with many people we’ve not seen in a long time. Also, this year, our endeared godparent Tito Tony passed away. We are saddened by the loss of one of the most generous persons that we have ever known. Thank you, Tito Tony for everything. Of course, we cannot end this letter without mentioning our blog. Now on its eighth year, we have grown to have 319 followers and have reached a whooping 404,265+ hits! We are happy because people are visiting our blog, liking our posts and our cyber community continues to grow. May the blessings of Christmas be with you. May the Christ Child light your way. May God’s holy angels guide you, and keep you safe each day.